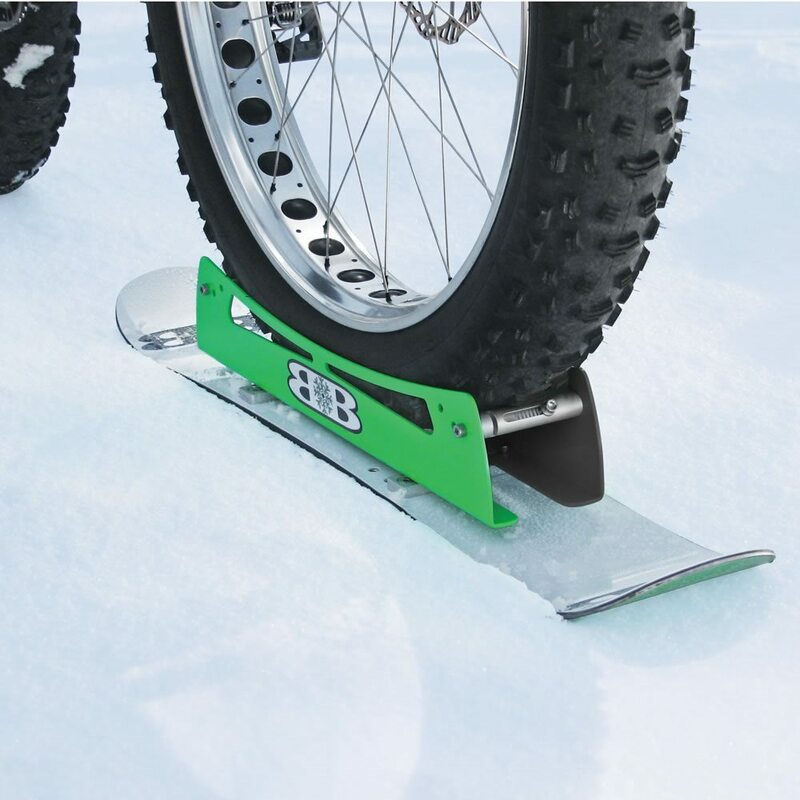 Good news for bikers with a high adrenaline rush; you’ve now got the Bike Snowboard to glide down the ice slopes on your bike that surely has a lot of fun in store. 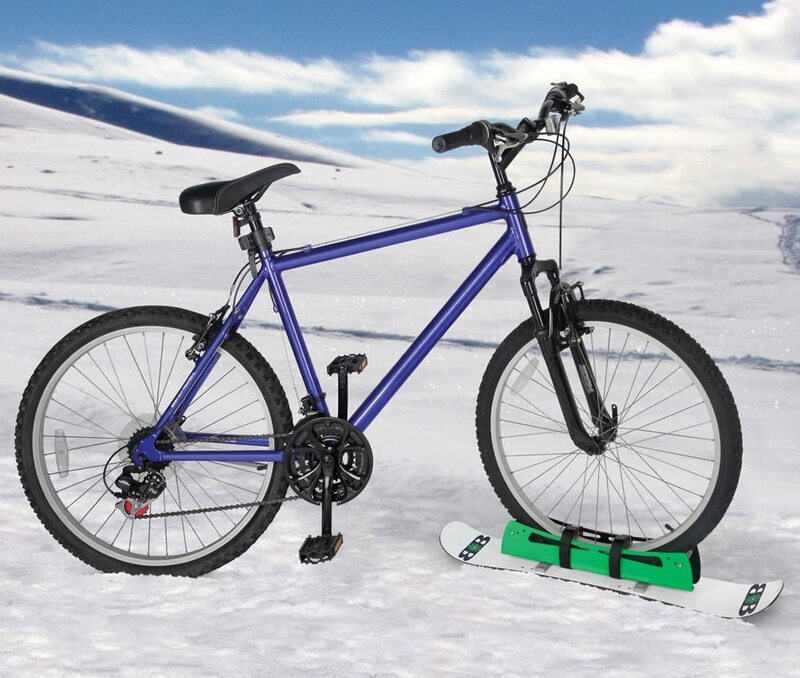 The snowboard attaches to the bicycle’s front tire and does not require removal of the wheel. 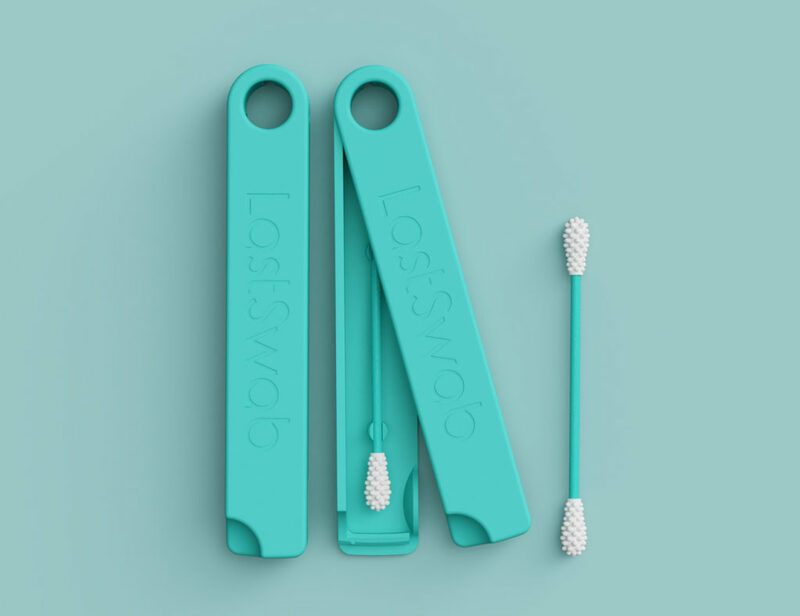 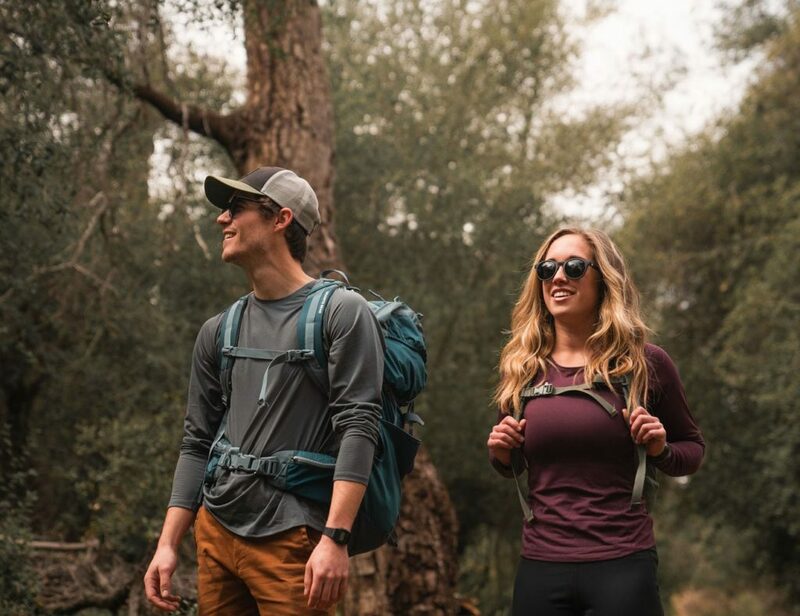 It uses parallel adjustable rails which can clamp around any sized front tire utilizing the benefits of two horizontal metal jaw pins and leash straps that keeps it held in place. 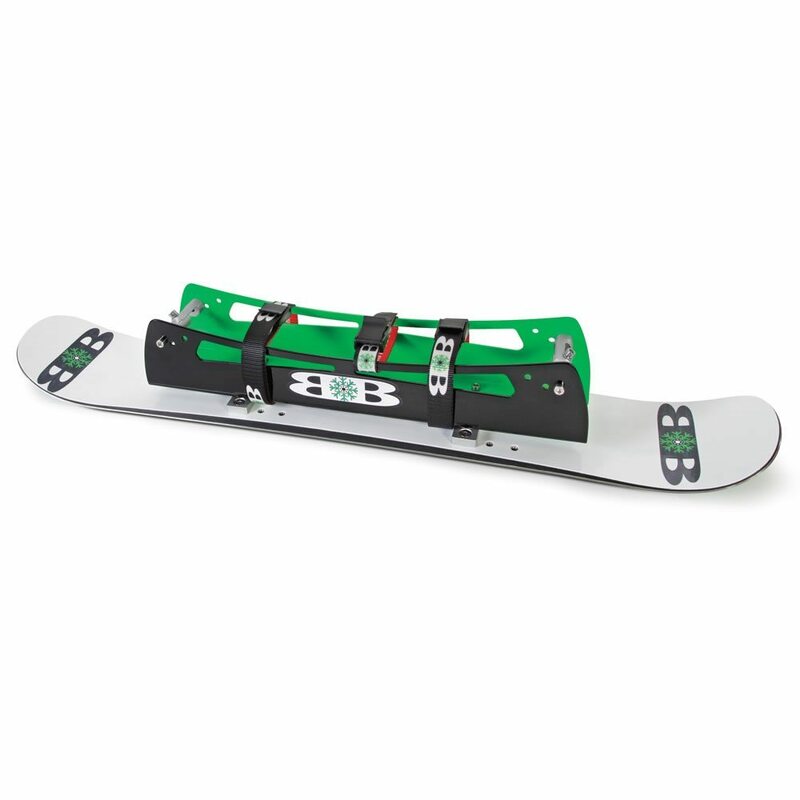 The full steel edge and side-cut curved tips ensure the board has a perfect grip on the ice for your ride to be strong and safe at the same time. 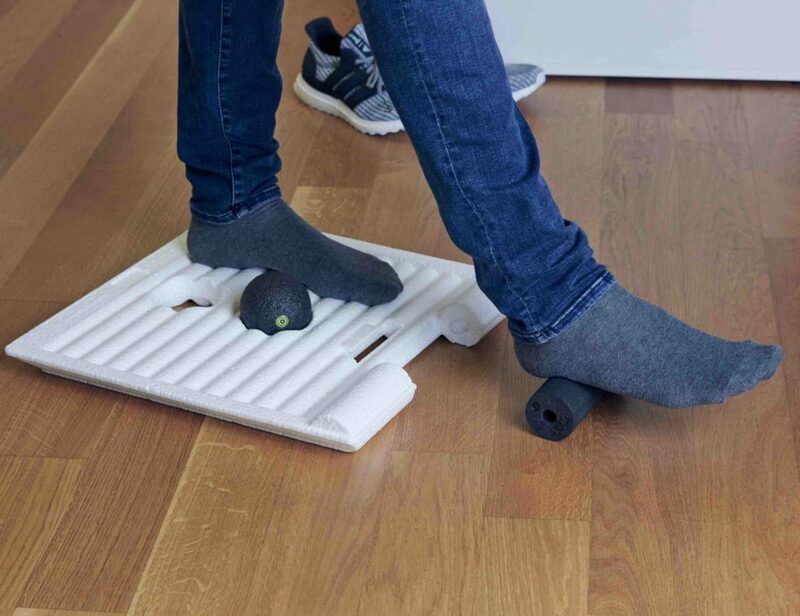 A whole new experience of bicycling awaits the next time you decide to ride down the icy slopes on this magical snowboard designed especially for super enthusiastic bike riders out there.